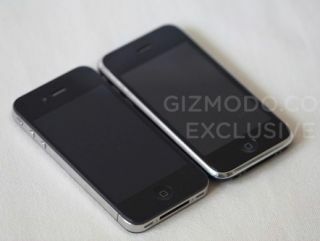 Apple has written to Gizmodo to ask for its iPhone back, proving that the unit found in a San Jose bar is indeed real. Editor Brian Lam said he received a call from Apple regarding the misplaced device, and stated they could have it back as long as they sent an official letter of confirmation. Senior VP of Apple Bruce Sewell obliged, thus confirming that the device splashed across the web yesterday wasn't just some cheap knock-off from Japan. The letter read: "It has come to our attention that Gizmodo is currently in possession of a device that belongs to Apple. This letter constitutes a formal request that you return the device to Apple. "Please let me know where to pick up the unit." While we're smirking at the idea that Apple is essentially going round to Gizmodo's house to ask for the ball it kicked over the fence, the wider implications of this are huge. Apple has never had to deal with a leak on this scale before, and with the iPhone launch seemingly a month or two away, there may need to a scramble to re-tool some elements so Steve Jobs' 'one more thing' isn't greeted by a chorus of uninterested shrugs.